Begin going west from the parking lot on the 4x4 road. Very shortly, there will be a trail that drops to the right and crosses the creek--that's it. Follow it 4.5 miles to the wilderness boundary and return. Alternate route--follow the 4x4 road up the south side of the creek until it crosses and come back down the Buchanan Pass trail for a loop if you like technical descents. If you like technical climbs, do the loop in reverse. Review: Really enjoyed this trail. Lots of fun rock structures to work on your riding skills. Super fun to come down -- lots of rocks and log drops to ollie over. My only complaint was that I wish the trail were twice as long. 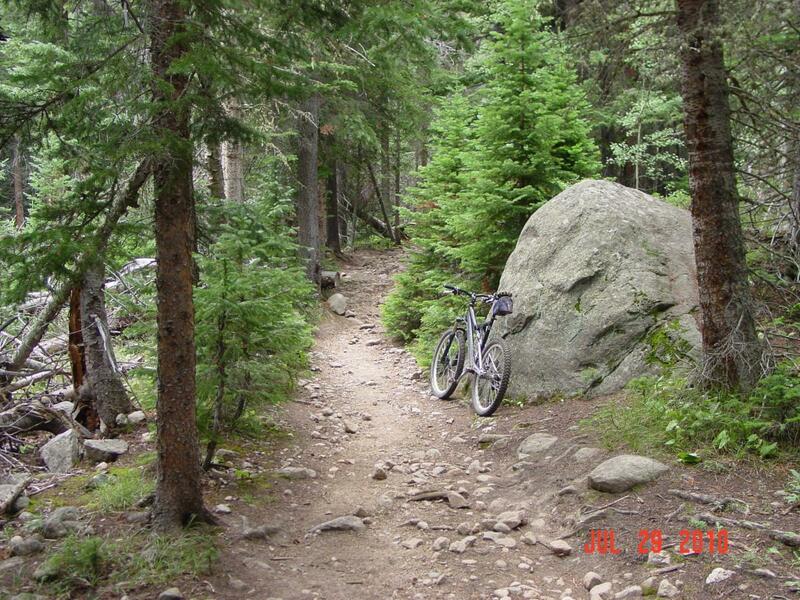 Buchanan Pass MTB Trail 4.67 out of 5 based on 3 ratings. 3 user reviews.